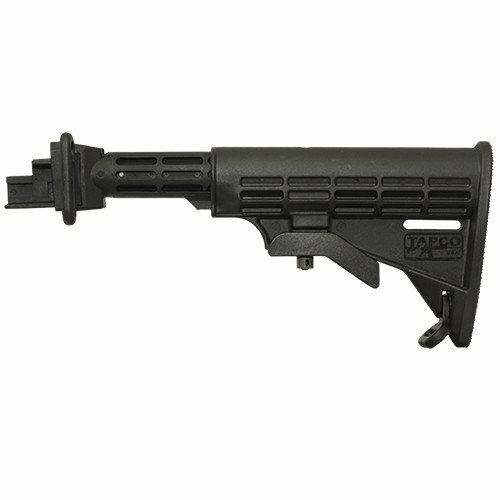 Tapco INTRAFUSE AK T6 Stock allows you six positions to work with so that it always feels as if it was custom made for you. 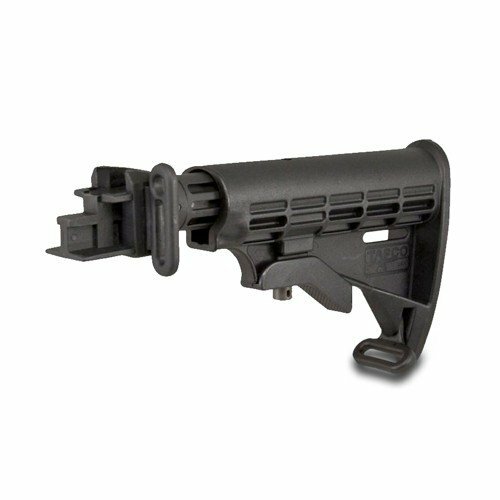 On top of this, we've made sure that the stock and the tube are both constructed of the highest strength composite available so any worries about damage can be cut to zero. So next time you pick up your AK and realize that it doesn't feel quite as comfortable as it should, do yourself a favor and get an INTRAFUSE AK T6 Stock. *Will not fit slant cut or milled MAK-90's. If you're putting this on a straight cut, stamped MAK-90, some filing will be required to achieve a perfect fit. Not compatible with milled or slant-cut receivers, receivers with a bottom tang, or underfolder stocks.